Weekly Update: Congratulations, 2018 Restaurant Neighbor Award Winners! Congratulations, 2018 Restaurant Neighbor Award Winners! 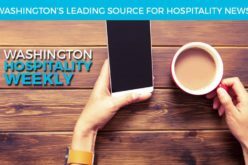 Washington Hospitality Magazine’s April issue is out. Among many articles of interest, this issue includes a major article on what hospitality businesses are doing to get ready for the high season of summer. It should reach you within the next few days. And in case you missed it, here’s a link to last month’s issue of the magazine. The Seattle City Council wants to establish a tax on jobs to raise $75 million to address homelessness. Please join the Seattle Restaurant Alliance and the Seattle Hotel Association in urging the mayor and councilmembers to oppose this ill-conceived tax idea. Taxing our ability to offer first-time jobs, second chances and life-long careers is just bad policy. Restaurants click here for a quick letter-writing tool. Hotels click here. Beginning July 1, 2018, foodservice businesses in Seattle will no longer be allowed to use plastic straws and plastic utensils. Restaurants must switch to compostable utensils and straws by this date, and they must use products approved as compostable by the City. Join us at the Hospitality Summit on Monday, April 9 in Seattle for a special showcase of acceptable products. Learn here about all the additional reasons you should register today to join us at this popular industry event. The city installed signs along alternate routes to help visitors and shoppers in the area navigate the project. Workers will reduce Monroe Street from five lanes to three between Indiana Avenue and Kiernan Avenue. The city hopes to minimize disruption to businesses along that stretch of road by completing the two phases of the project simultaneously. The city is also offering marketing services and façade upgrades to shops directly affected. Construction is expected to last seven months. Last week, Spokane Mayor David Condon held a news conference outlining Spokane’s plans for Monroe, including beautification, safety and more on street parking. Visit the City of Spokane website for more information, or email Construction Relations Manager Michelle Vazquez. Black Bear Diner Sequim owners Bret and Trisha Wirta were more than happy to receive the founder’s award during the annual Black Bear Diner owner’s franchise conference last month and they will be the first to say their staff earned it. The Sequim location’s highlights, earning the restaurant the award this year, include the largest percentage sales increase, the lowest level of customer complaints and a perfect health inspection. For more information about the Black Bear Diner, visit blackbeardiner.com. The American Hotel & Lodging Association is now accepting nominations for its 2019 Stars of the Industry. Winners will be notified in October and recognized at the annual awards ceremony, Jan. 27, 2019, in Los Angeles. The AHLA Stars of the Industry awards program was created almost 50 years ago to recognize outstanding accomplishments in the lodging industry. Learn more here. Specialty Coffee Expo, April 19-22 – Register Now! Specialty Coffee Association’s flagship event returns once again to Seattle’s Washington State Convention Center for 2018. In this three-day expo, attendees will learn, sip and network their way through over 400 exhibitor booths, the U.S. Coffee Championships events, special exhibits and more. There are some notable featured events and countless education opportunities. Below are a few highlights. Click here for more information and Specialty Coffee Expo registration. Information about joining Specialty Coffee Association can be found here. Don’t miss this great video recap of the news you need to know. This week’s topics include Gov. Jay Inslee’s signing of the statewide tourism marketing bill and the Hospitality Summits. Don’t miss this week’s DineNW radio show, now online. Andy Cook and Paul Schlienz kick off the show with Dennis Zaborac, owner of the Kent Bowl. Andy then joins with David Faro to discuss the Washington Hospitality Summits and third-party delivery.